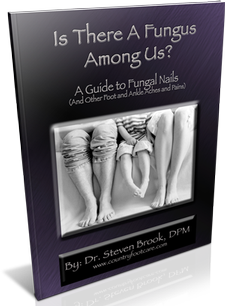 Country Foot Care > Reports: The Best Offers in Health Care: Free Books > Is There a Fungus Among Us? The many services provided in Dr. Brook’s offices include the most advanced in-office diagnostic testing, laser treatment of fungal nails, foot surgery and diabetic foot care. The sports medicine aspect of the practice includes on-site physcial therapy, fabrication and fitting of custom orthotic shoe inserts and custom and non-custom braces, Radiofrequency and Shockwave therapy, the newest modality for treating acute and chronic foot and heel pain without invasive surgery. With more than three decades of experience, Dr. Brook has seen the evolution of technology used in Podiatric medicine and has treated multiple generations within families.